“I actually envisioned everything that’s happening today, back then," Whipple said. "I didn't know that back then. Charlotte is a little Wall Street. I said, 'You know this city has a lot of promise.'" He soon landed a job at Duke Power, bringing him to Charlotte. As a newcomer, he went to an event at the Charlotte Museum of History and that began his 26-year journey with Queen City Tours. Whipple’s first bus tour started at McDonald’s Cafeteria on Beatties Ford Road. Not the golden arches, but a little known black history landmark. And that's still the first site on that particular black heritage tour. Whipple said the significance of John McDonald is that he was one of the most successful African-American entrepreneurs in Charlotte in a time when there weren’t many. 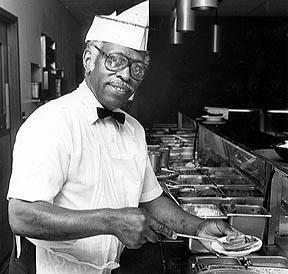 McDonald returned to Charlotte in the late 1960s, opening his first restaurant at Beatties Ford Road and LaSalle Street. “The building is still there, it’s a check cashing place now," Whipple said. "And business and sales were doing so well that by the 1980s, he was able to buy the land where that restaurant sits today at the corner of Beatties Ford and Interstate 85." McDonald also built a hotel and the Fun City amusement park. His story is one of the many stories of black history in Charlotte that Queen City Tours features. After 9/11, Whipple almost went out of business. Then came the 2008 financial crisis. To survive, he diversified his business. Whipple booked bus trips to places like Charleston, Miami and Washington, D.C. But the foundation of his business, and his inspiration, remains the Charlotte-area African-American history. And, Whipple said, that’s priceless.